Fars news agency cites Yaalon's morning interview as proof Israel is responsible for the ingenious malware. Semi-official Iranian news agency Fars seized upon statements by Israeli Vice Prime Minister Moshe Yaalon Tuesday as proof that Israel engineered an exceedingly sophisticated program dubbed Flame that has been spying on computers in Iran. 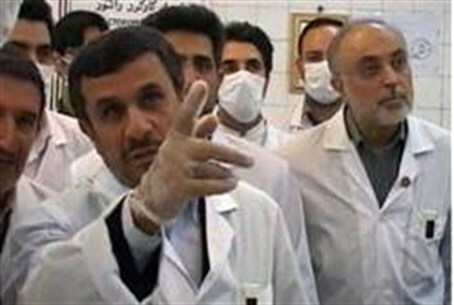 "The Vice Prime Minister of the Zionist regime admitted the role of the regime in creating the virus Flame for cyber espionage in the Middle East, and especially in Iran," Fars stated. "Moshe Yaalon's statements today are an additional confirmation of Israel's role in developing the malicious program." Iran's Foreign Ministry spokesman Ramin Mehmanparsat also pointed a finger at Israel, although less directly: "Illegitimate regimes are producing viruses and trying to use cyberspace and this is not really effective," he told reporters at a weekly press briefing. Iran's MAHER Center, the Iranian equivalent of the U.S.'s Computer Emergency Readiness Team (CERT) said Tuesday that Flame “has caused substantial damage” and that “massive amounts of data have been lost” due to its operation.